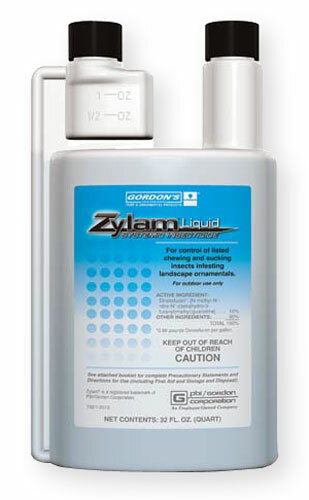 Zylam is not for use on fruit bearing trees. It contains Dinotefuran which acts as a systemic agent. It penetrates the root and leaves of the plants. Systemics cannot be used on fruit bearing trees or plants. Depending on what you are trying to kill, Imidacloprid may be the best choice. It is sold as Merit 75 and also as Dominion 2L. Hope this helps.